When you have collected all of the responses you need, you should close the survey. That way, when someone goes to your survey link, a message will be saying that the survey has been closed. 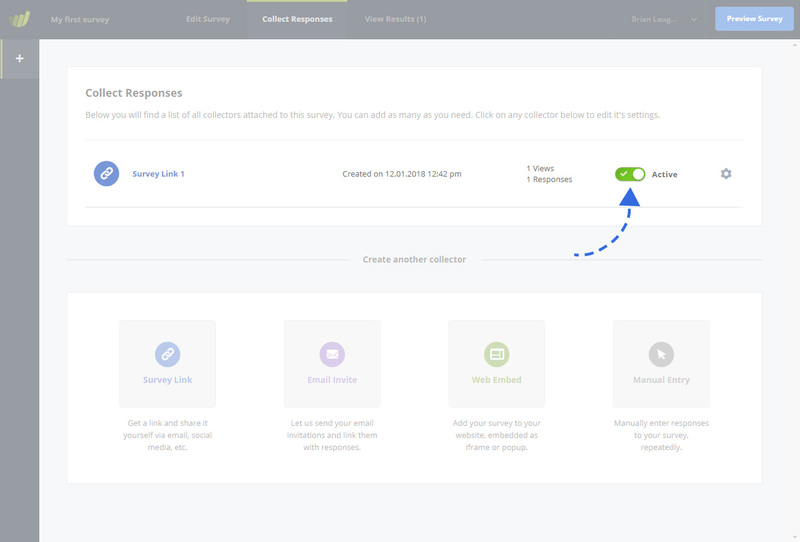 It’s very easy: Simply visit the “Collect Responses” section and switch the toggle of the collector you want to close from “Active” to “Closed”. You can close all collectors or also just individual ones. You will find the same toggle switch when you open the collector settings. Changing the status from within the settings is the same as changing it from the collectors overview. You can turn on your collectors again at any time. This will then re-activate your survey and people visiting the links will be able to participate again. Closing a collector has no influence on your collected responses. 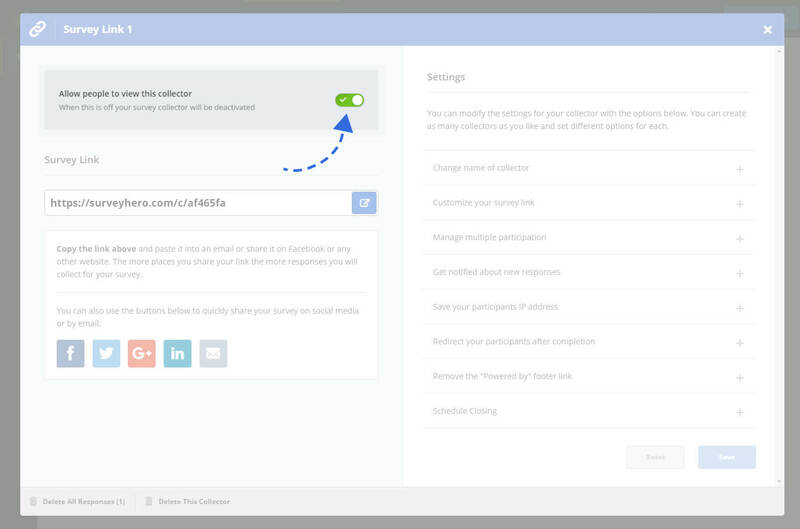 You will still be able to analyze your collected responses in the “Results” section of your survey. 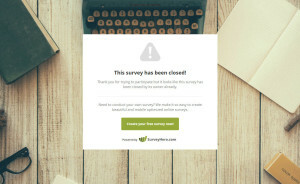 While deleting a Collector will also stop new people from participating in your online survey, it will also delete all its collected responses. If you still need the results from that Collector, than rather close instead of deleting it.